Bright yellow gerbers and some fresh Baby's Breath make for the perfect fun bouquet! Light and breezy, this array lifts your mood! Standard Bouquet includes 7 stems. Deluxe Bouquet includes 9 stems. 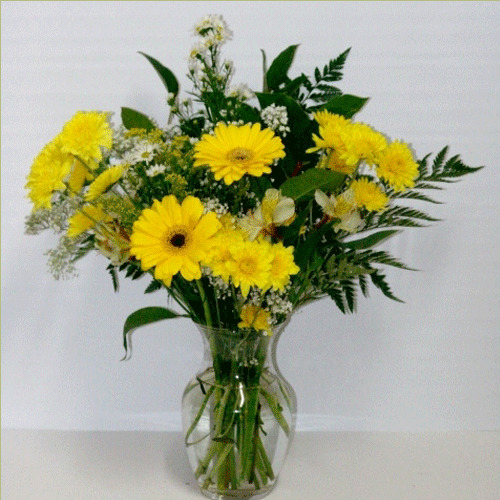 Premium Bouquet includes 11 stems.